You have probably established by now that we love street art. 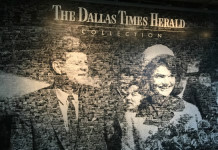 There is something quite captivating about the artistic creativity that is generated through the various murals that are designed throughout a location. We love it so much now that whenever we travel, street art is generally pretty high up on our list of desired things to see in a destination. This was certainly the case when we headed to the heart of Texas to explore the vibrant capital city of Austin. 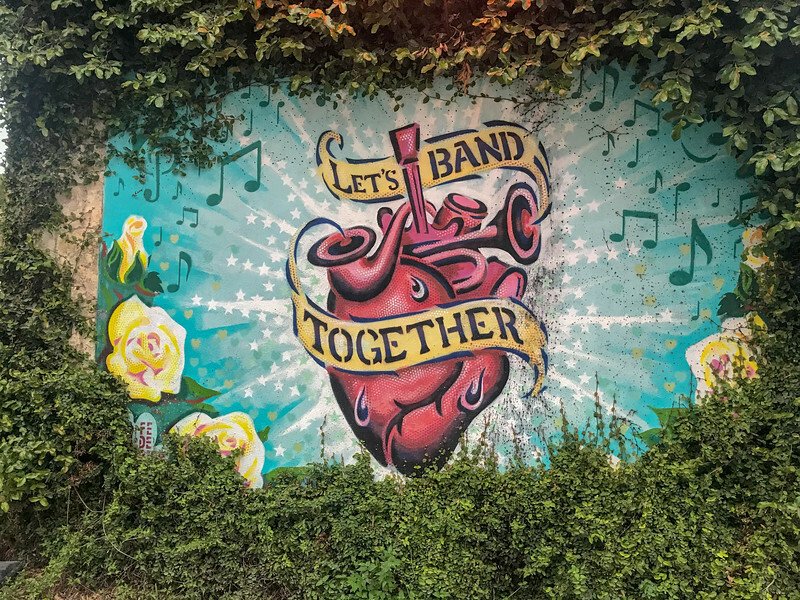 When it comes to street art in Austin, this city epitomizes everything there is to love about weird and wonderful creative design. What is it about street art that makes it such a cool experience worth taking time out of your itinerary to explore? In our opinion, it is a great way for local designers to showcase their masterpieces and perhaps become known around the world like iconic street artists such as Banksy, Vhils, and others. But it’s more than just becoming famous! It’s about utilizing a medium to perfectly reflect the city and allow locals the opportunity to voice how they perceive their “home”. Our love of street art has seen us experience a distinctive blend of designs not only in the US but across the globe. 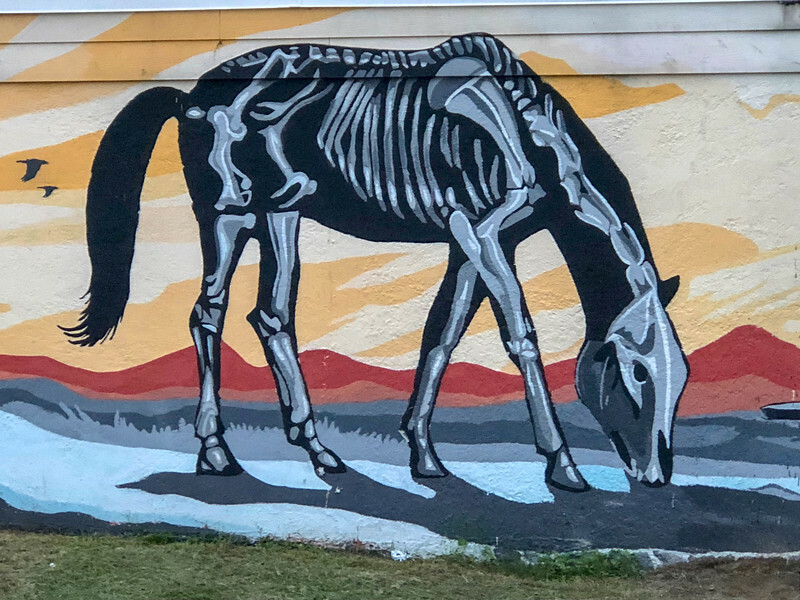 Street art in Oklahoma City may not be the first place you think about experiencing this but it’s definitely a place you should consider visiting. 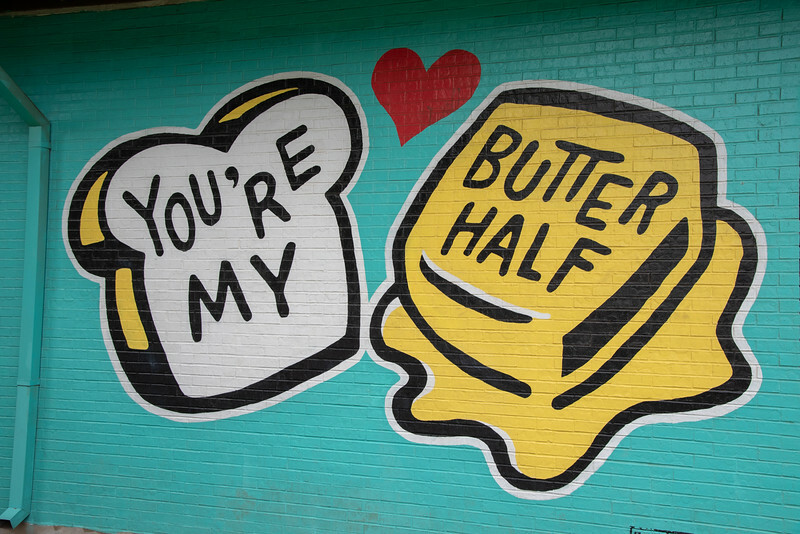 Memphis is arguably our home city and the Memphis street art scene is undoubtedly one that everyone should experience. 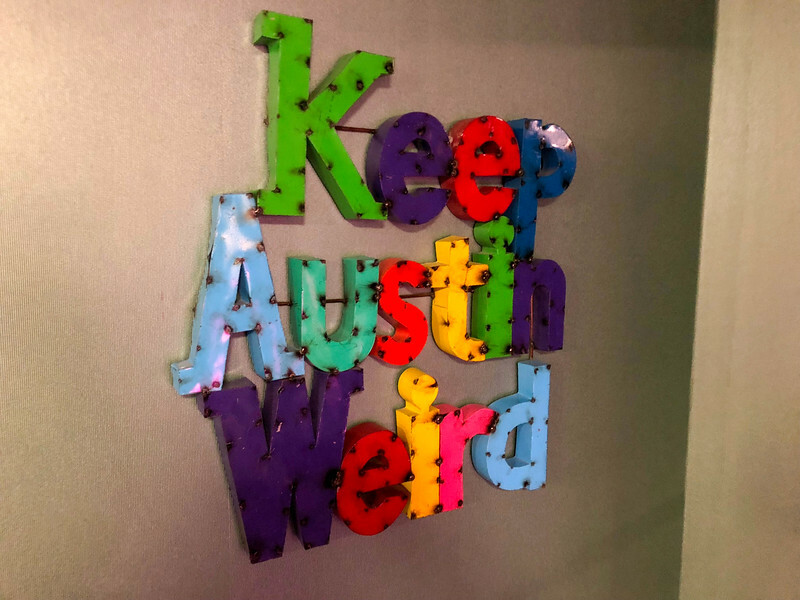 But this post is all about Austin, Texas and perhaps after reading this, you will understand why the slogan “Keep Austin Weird” is more relevant than you may first imagine. 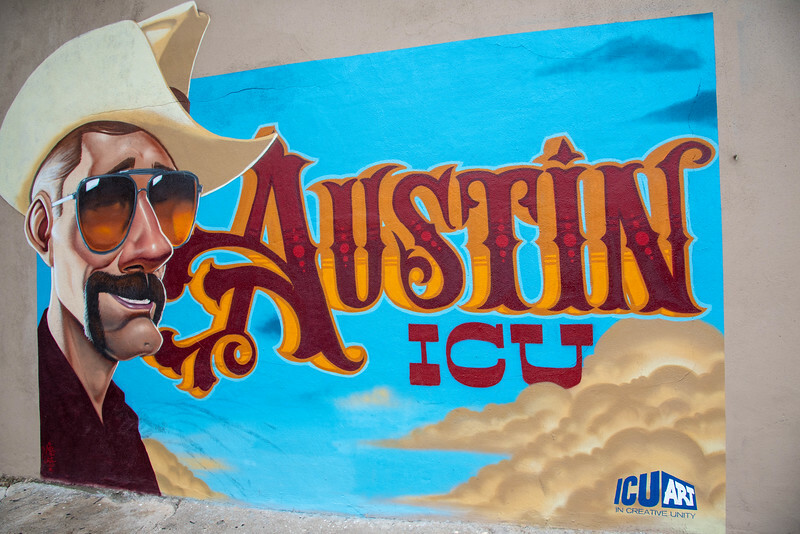 The Austin street art scene offers an eclectic blend of artistic creativity, ranging from some of the best murals we have seen across the globe to some lesser-known gems that are ingenious and perfectly reflect the beautiful Texas capital. 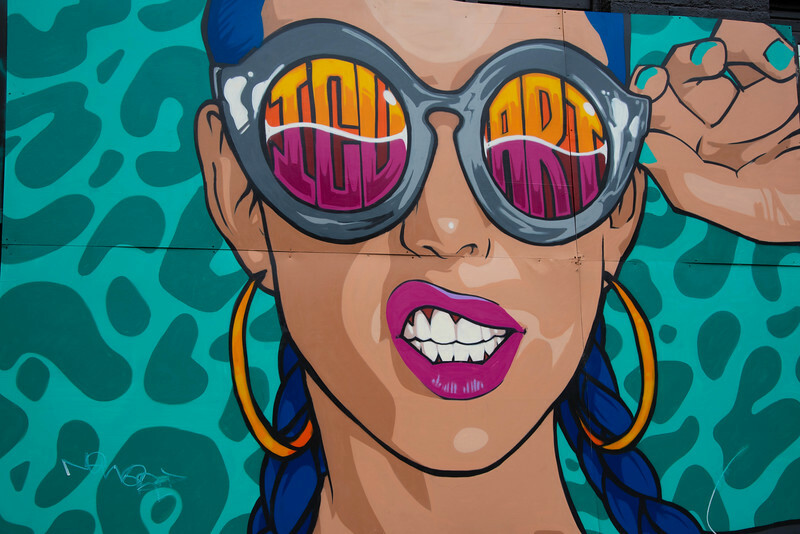 Whether you are venturing away from the heart of downtown Austin to the thriving Domain neighborhood or perhaps staying around the heartbeat of the city, there are plenty of awesome murals to keep you occupied. 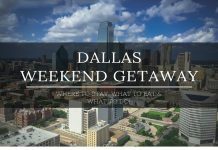 Although the majority of this post will focus on downtown Austin, we did venture outside of the central business district to explore some gems in the Eastern side of the city and I think it’s fair to say we found a pretty diverse collection. From the intersection of 6th Street and I-35, all the way to 601 W. 6th Street, the street art scene is definitely thriving in this part of Austin. Of course, 6th Street in Austin is renowned for being a collegiate party scene with plenty of dive bars, local stores, and recognition as being the “live music capital of the world.” But our visit to 6th street was in a quieter sense as we opted to explore the artistic beauty at various intersections. 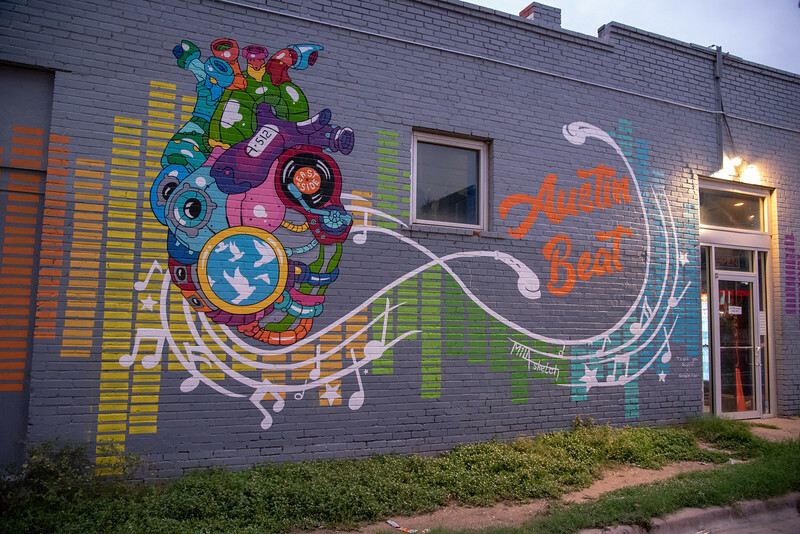 The extremely colorful mural highlighting Austin as being the “music capital” and “1839” as being the year this city was founded is definitely one of our favorites across the city. 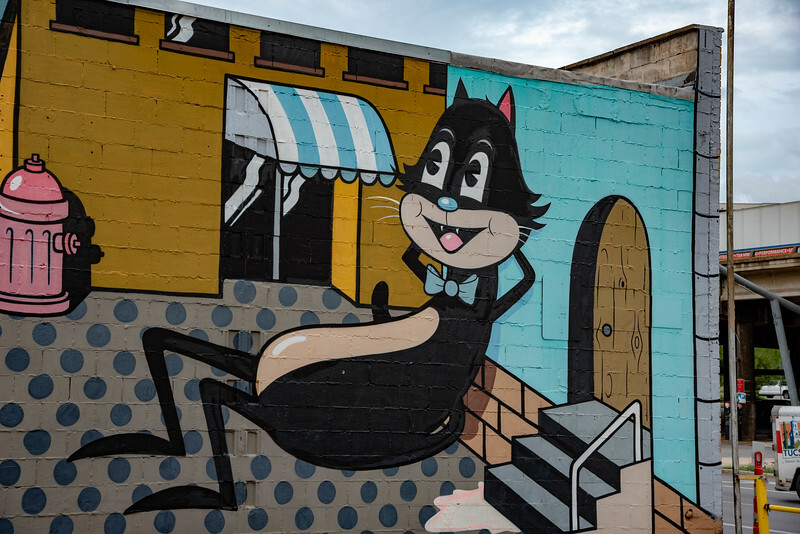 For the feline lovers, the mural depicting a cat relaxing in the city on East 6th St & SB I-35 Access Rd is definitely going to be a popular attraction. 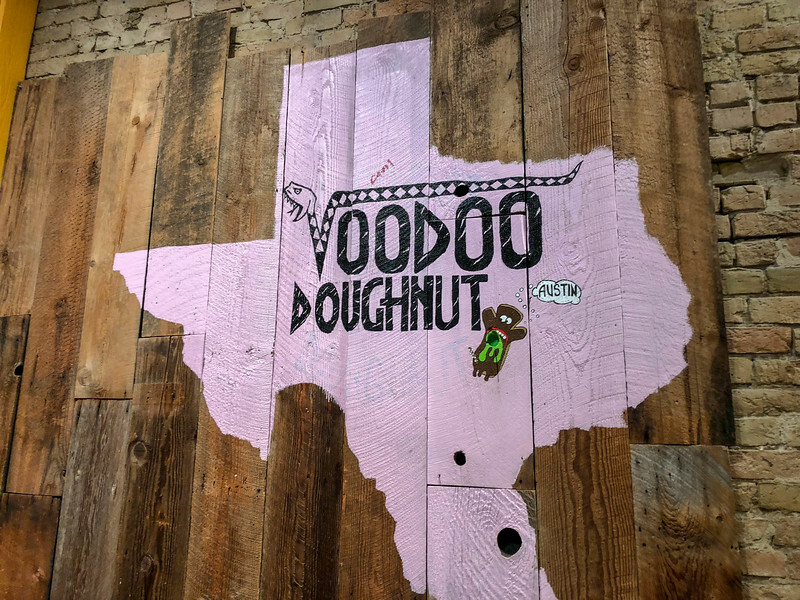 As you wander along 6th Street, take a moment to hop inside Voodoo Doughnuts (be sure to bring cash as they do not accept any cards!) and indulge in one (or more) delicious sweet treats…you will not regret it! The difficult choice is deciding which to pick as there is quite the collection available. This is the perfect way to enjoy a quick “sugar rush” to energize you as your journey seeking out Austin’s epic street art scene continues. 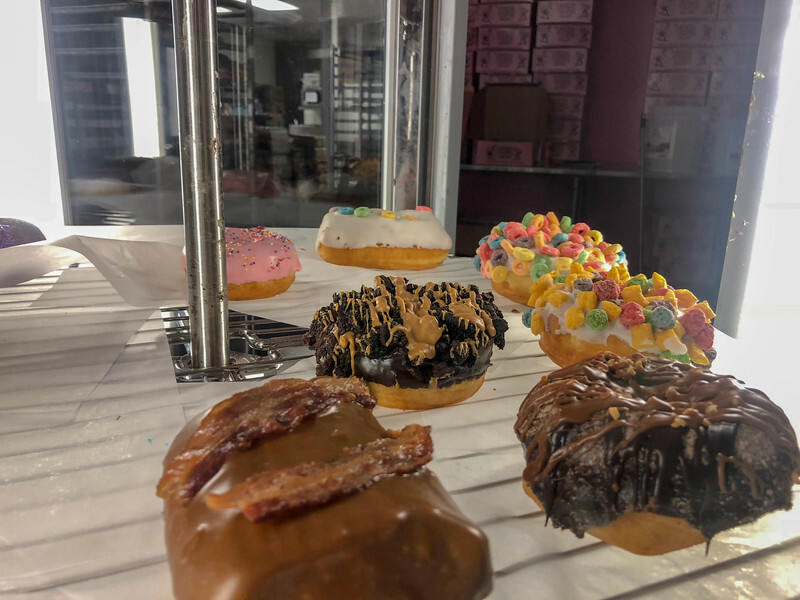 It’s very possible that after the donut, it may have the reverse effect but I think after finishing this post, you will be intrigued enough to continue. 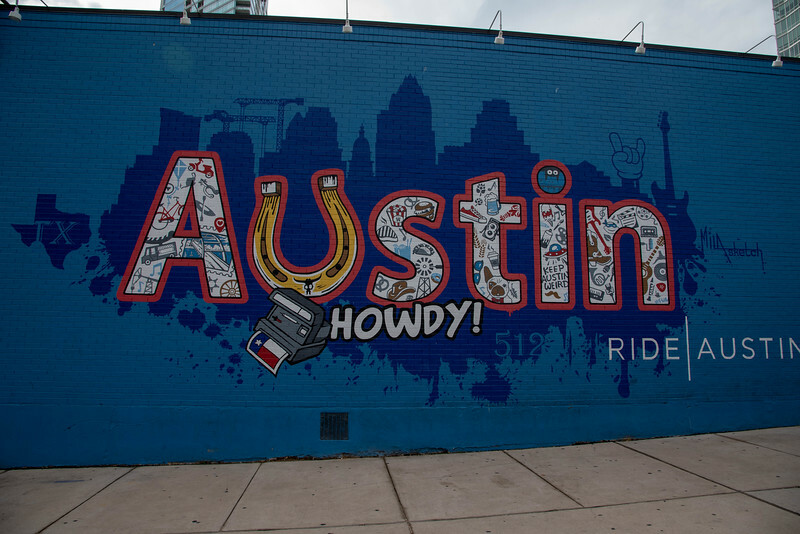 Before venturing too far along 6th Street, admire the mural depicting Texas’ stereotypical greeting “Howdy Austin”! 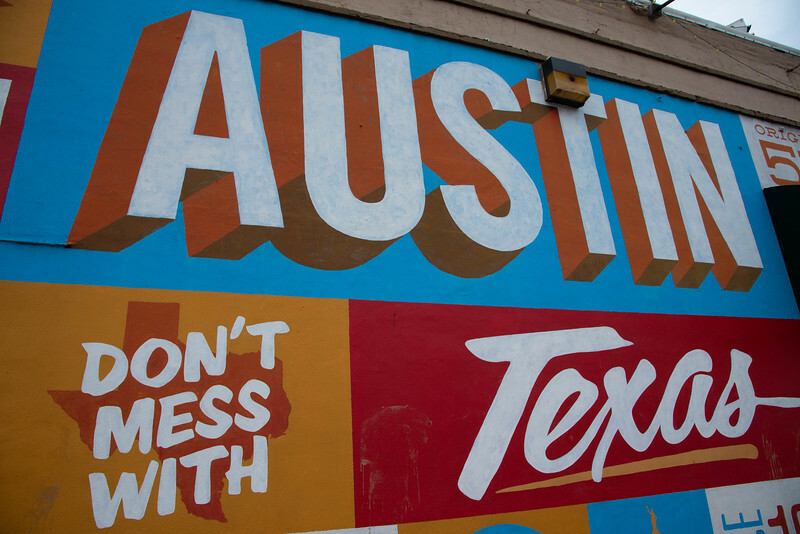 I’m sure we have all seen those typical Western movies or perhaps some of the famous characters from episodes such as Dallas and well, it’s fair to say that Austin typifies the pride throughout the Lone Star State! For those of you willing to put on your favorite walking shoes, take a stroll across the Colorado River (that’s right, a small part of this iconic river passes through downtown Austin) along Congress Avenue and get ready for a real treat when it comes to flamboyant street art. 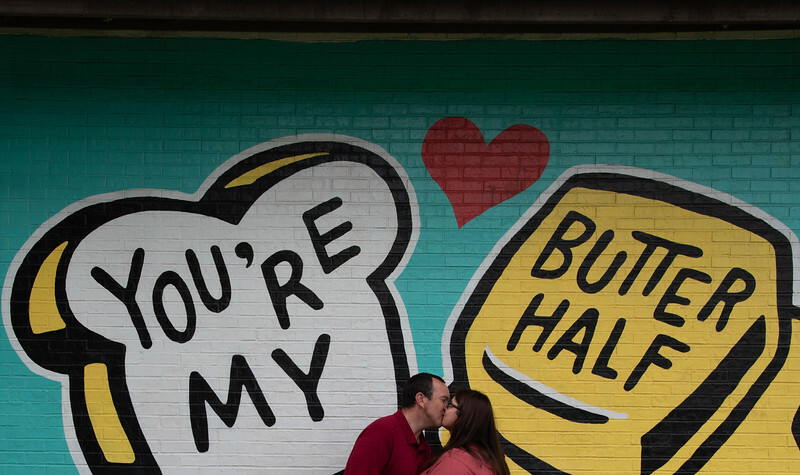 Perhaps Austin’s most iconic mural can be found in this neighborhood, although the one later in this post may arguably be just as popular. 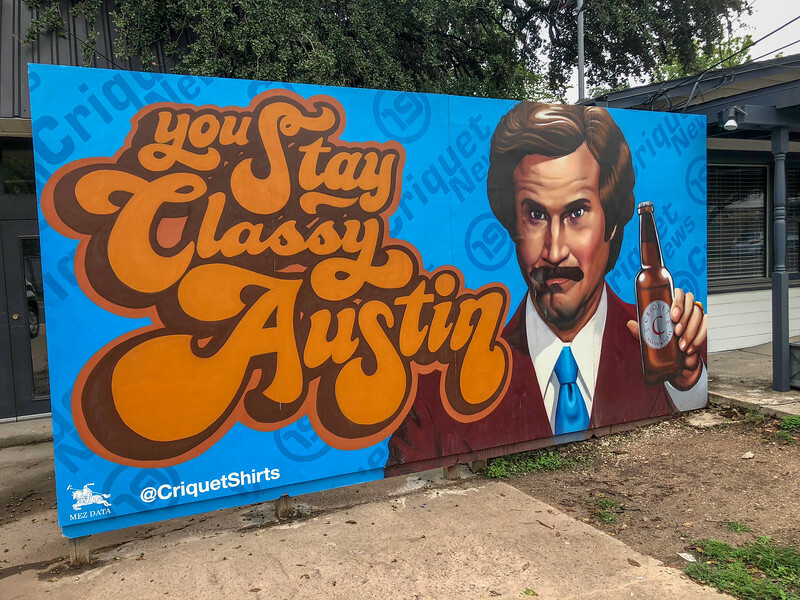 “Greetings from Austin” is a mural located at 1720 South 1st Street and is undoubtedly an image you will frequently see on Texas postcards or Instagrammable selfies. We couldn’t resist the temptation and honestly, it’s one of those moments you should cherish because this is one EPIC mural! If you are visiting Austin during college football season, we highly recommend trying to head over to Darrell K Royal-Texas Memorial Stadium to watch the Texas Longhorns in action in front of 100,000 spectators. Regardless of your interest in collegiate sports, it’s certainly an experience even if you just drive by on game day as we did during our adventure to find more street art. 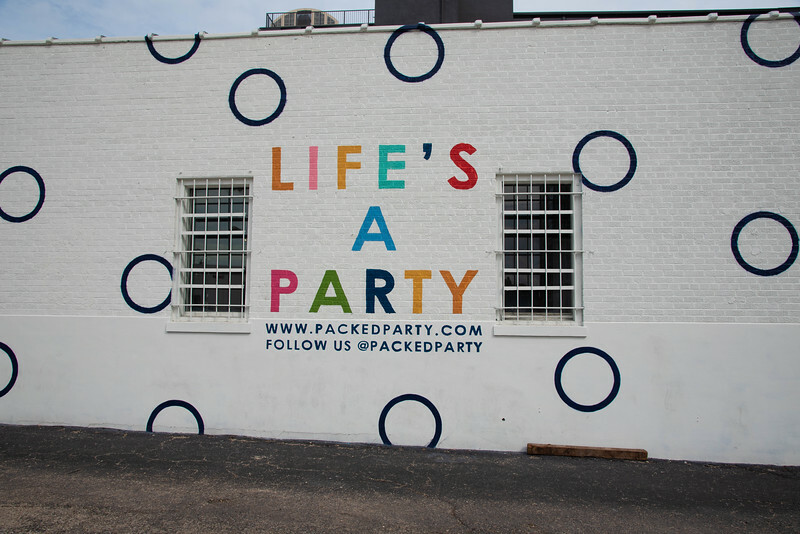 Whether you choose to pay attention to the rowdy football stadium or simply continue your journey, the moment you arrive in the neighborhood full of awesome street art, your thoughts will focus solely on this amazing creativity on display. 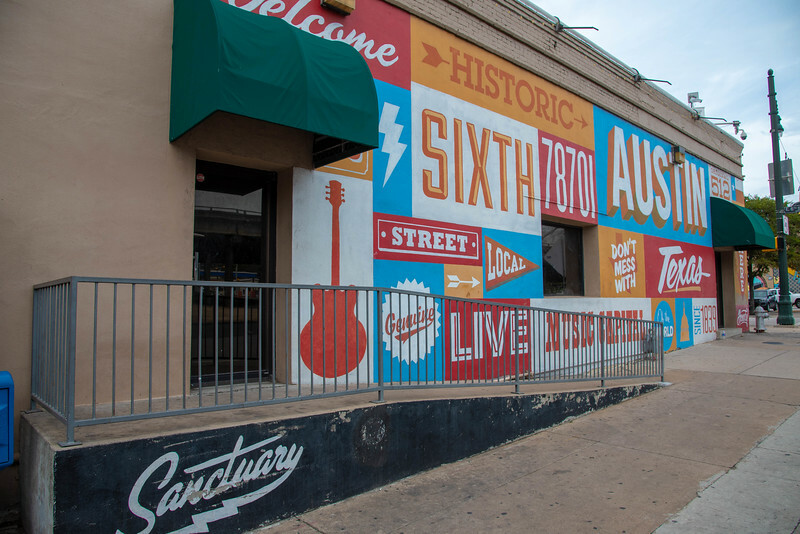 The plethora of murals in such a concentrated space means that the Eastern side of Austin’s downtown neighborhood is one of the highlight areas that should be on your radar. 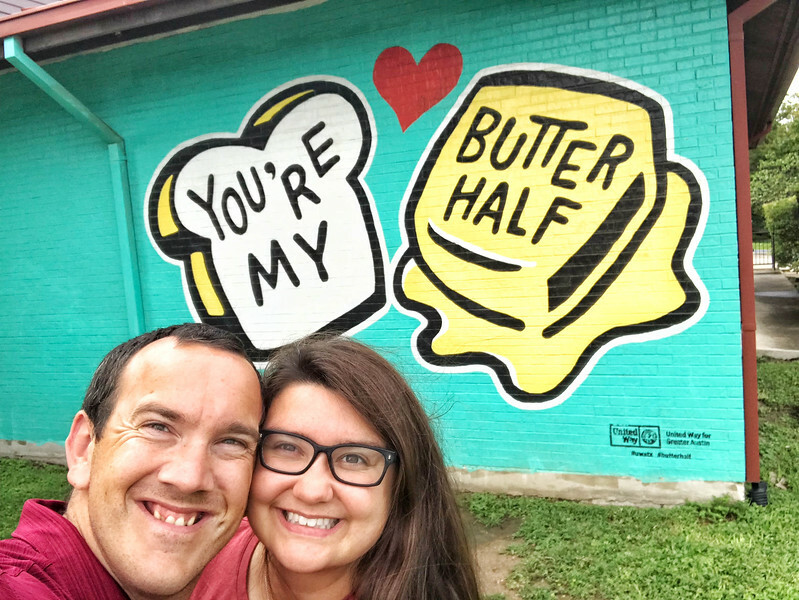 For the couples out there that want to show their love for each other, the iconic “You’re My Butter Half” is definitely a popular spot and of course, we couldn’t resist grabbing a quick selfie here. But this is just the start of the murals and I highly recommend just walking around and stumbling across the various displays around the neighborhood. 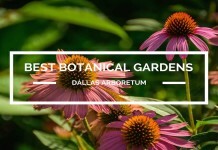 A diverse variety of restaurants, ranging from local vegan spots to traditional Texas barbecue are available throughout this neighborhood, so be sure to grab a bite to eat if you are looking to sample something authentically local. Ready for dessert? 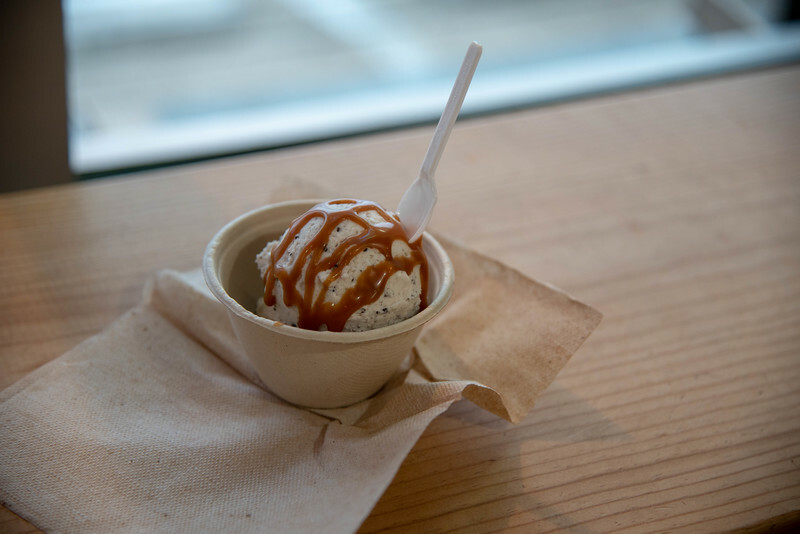 Head to the amazing Spun Ice Cream and watch as your chosen flavor is spun, unlike anything else you have experienced before! 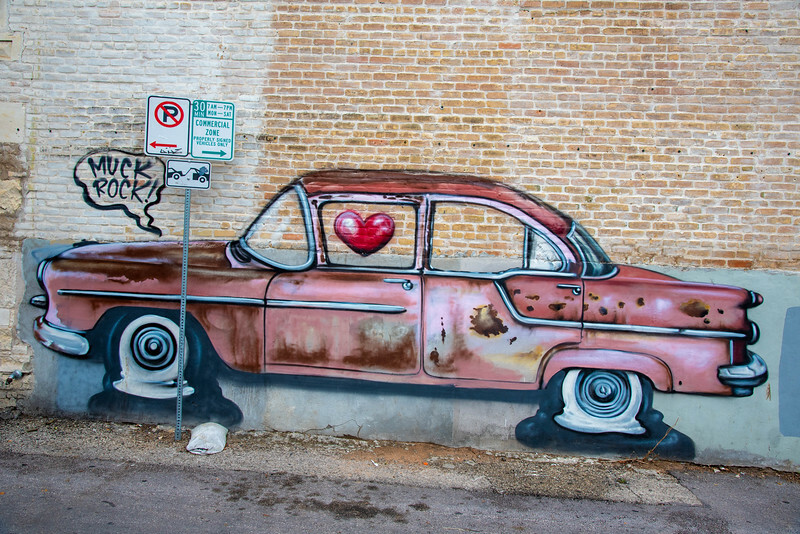 Austin has quickly jumped to the very top of our list of amazing street art destinations. The beauty of this city is that it is so unique and unlike any other city across the United States. 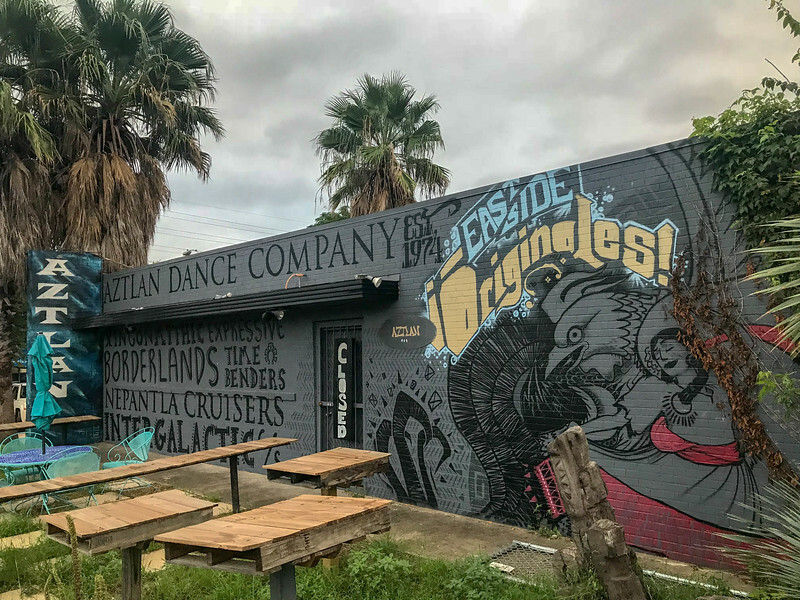 If you have ever visited New Orleans, you will know exactly what I am talking about in terms of “quirkiness” but when it comes to Austin, well the locals there just love to thrive on the “weird” stereotype that floats around this city. The reality is that we barely touched the surface in terms of things to do in Austin and only saw a very brief glimpse of the extensive blend of street art on display. 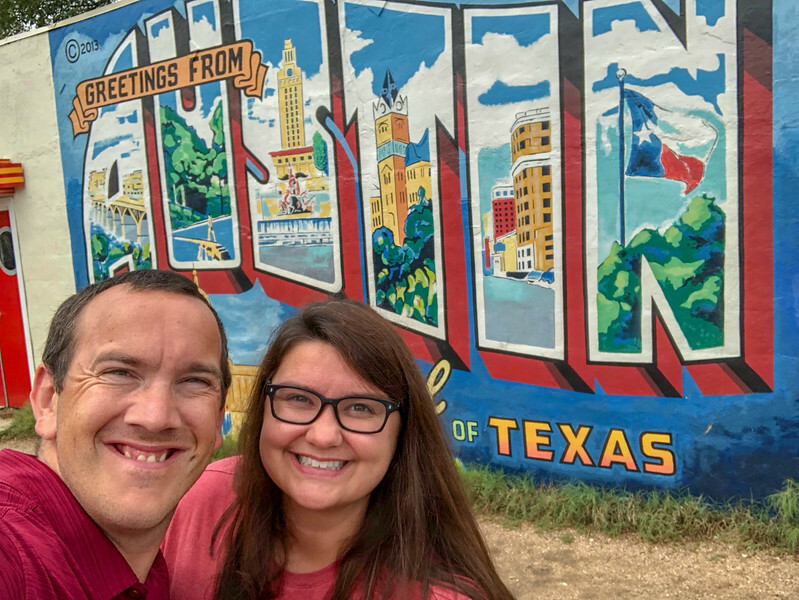 The iconic “Greetings from Austin” mural is probably my favorite though I think Heather would argue the above image is one that perfectly reflects our relationship. 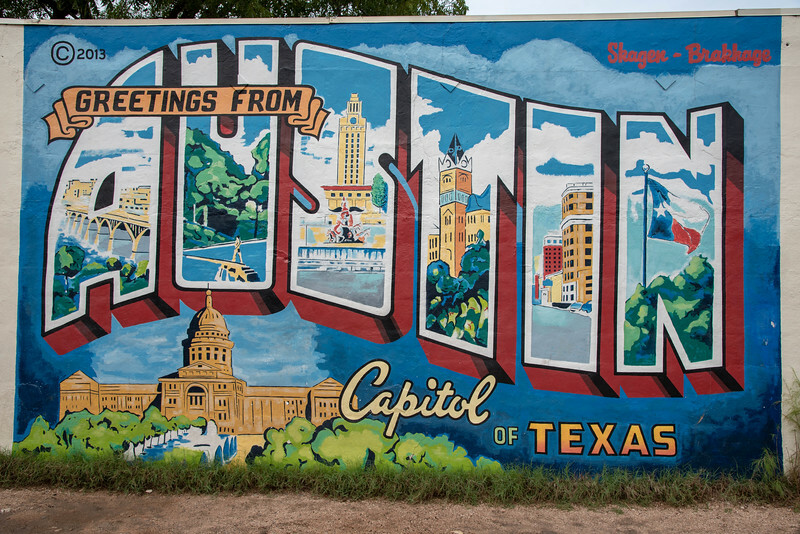 If you have any plans for visiting Texas, we strongly recommend adding Austin to your itinerary…you won’t regret it! Really amazing street art pictures which you have shared with us. You have done good work on this post which is nice to see it keep doing well. Thanks a lot to share.